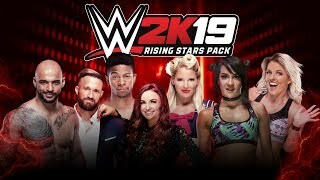 Play the NEW WWE Champions 2019. Enjoy NEW features like new PvP Showdowns, enhanced graphics, and faster-than-ever in-ring action. Battle your way to the top with hundreds of the newest Superstars & all-time greats. Compete worldwide in men, women, and mixed tournaments. Play solo or join a Faction. Battle in puzzle RPG combat to climb leaderboards. Compete on the Road to Wrestlemania and feel the excitement of the WWE Universe! Faster than ever action with no load times! Choose The Undertaker, Stone Cold Steve Austin, and all-time Attitude Era icons. Becky Lynch, Alexa Bliss, Asuka and top Women’s Superstars compete in their own division. The NWO, New Day, DX, and all the greatest factions are here. Use RPG skills to earn XP in this unique RPG Puzzle Battle Game. Win matches to customize moves and upgrade your team. Epic RPG gameplay lets you combine a variety of skills. Hire Trainers to boost your Superstars’ abilities. Strategize! Pick the best Class to beat opponents. Choose from Technicians, Strikers, and more. Upgrade to use the Rock Bottom, Attitude Adjustment, Styles Clash and more. For more on WWE Champions Mobile game, check out the Guides Section and the Roster Page.